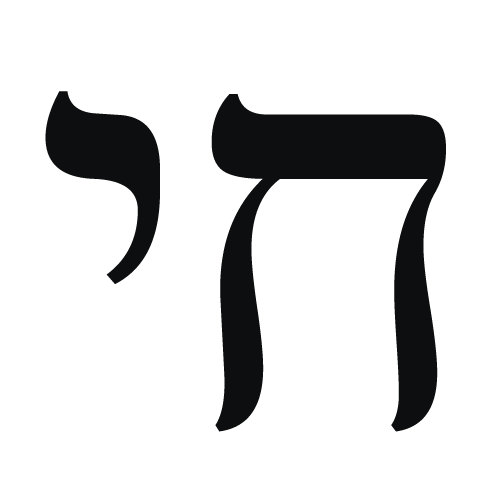 This symbol, commonly seen on necklaces and other jewelry and ornaments, is simply the Hebrew word Chai (living). The word Chai is written in Hebrew as Chet Yud. Every Hebrew letter has a numeric value, and Chet=8, Yud=10. Thus, the "numeric value" of Chai is 18. Gifts to charity are routinely given in multiples of 18. Judaism as a religion is very focused on life, and the word Chai has great significance. The typical Jewish toast is l'chayim (to life). The symbol has no special religious meaning and is actual nothing more than a souvenir or ornament, but then again some consider it as a kind of amulet.